You can have this Lucheon Meat with Ham Omelette ( made up of tinned luncheon meat with ham ( cut into cubes , chillies, onions and italian parsley and eggs ) as filling for sandwiches or eat with a bowl of hot congee or with piping hot rice. Real comfort food for us, when we want some simple and yet delicious . Jo had this in her sandwiches and Daddy and myself had it with piping hot rice. And I cooked Mint Soup to go with the omelette. 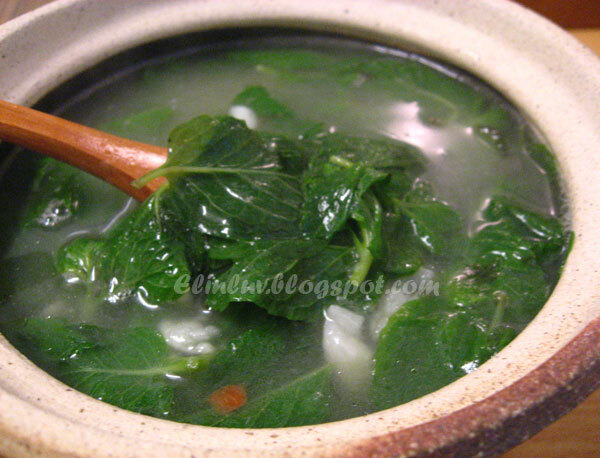 Mint leaves can be cooked in soup or make into omelette but for this once I made soup with them. If you have your own pot of mint plant , it would be very convenient. And I am sure you can use them in your salad, in your soup and in your omelette anytime you want it...just pluck them from your garden . Beautiful herb and good for our body. It helps remove wind from the body and good for our digestive system :) I know a lot of friends doesn't like mint leaves but lucky for the Piggies, this is their favourite herbs and they love it each time I cook soup or fry omelette with them. I've made the exact same omelette with all the exact same ingredients!!!! But ever since trying to cut down on canned food, I have always substituted the luncheon meat for prawns, equally delicious! Mint soup is something very new to me though! Simple but best.. my kids' favourite too.. yeah, long time i never buy the luncheon meat ..
these two dishes are comforting enough..i like mint soup and must add ginger, i just totally forgotten abt this soup, yeah, expel all the wind in our stomach and our head! Great way to use up the last bits of luncheon meat,making for a tasty last minute meal. 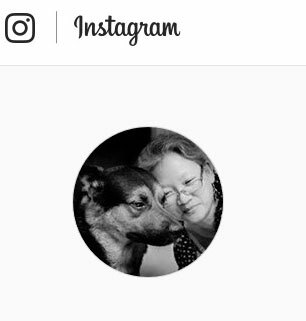 That looks like a delicious and comforting meal. I haven't had mint soup in ages! I love luncheon meat. This must be delicious. That soup sounds really nice, nice flavors with the mint leaves! This dish is RIGHT up my street!! 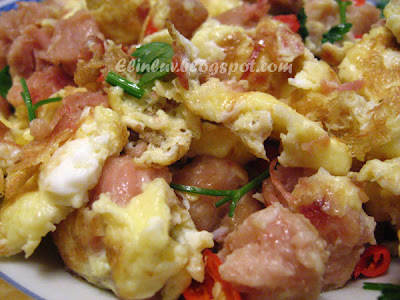 I LOVE luncheon meat and frying it with egg haha. 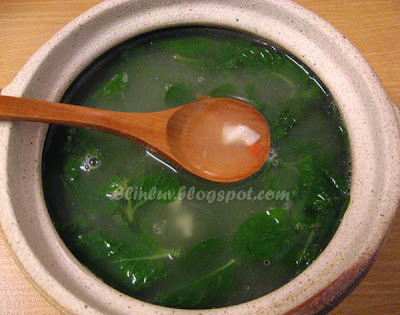 Never heard of mint soup before but it sounds deliciously refreshing. 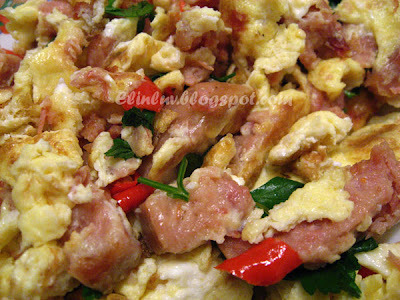 This makes me want to make some luncheon meat omelette now - I haven't had it in ages! This is mom's cooking...simple, delicious and you wish for a 2nd helping.